Keeping in the solar powered theme of my last post, I wanted to focus a bit less on tongue-in-cheek novelty and hone in on some serious design. 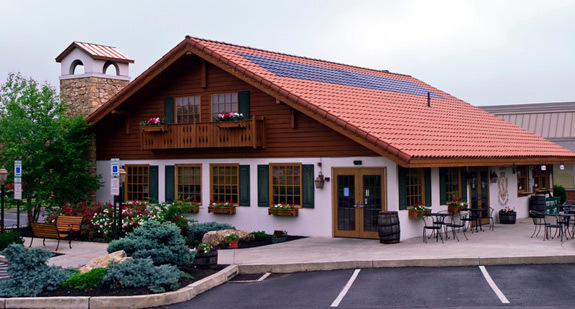 Many architects, homeowners and commercial building owners out there aren’t very fond of the blocky look of solar panels, especially if their roof is highly visible or conforming to a specific style. For those who want renewable energy and beautiful design, SRS Energy has answered their wishes with their line of Solé solar roof tiles. 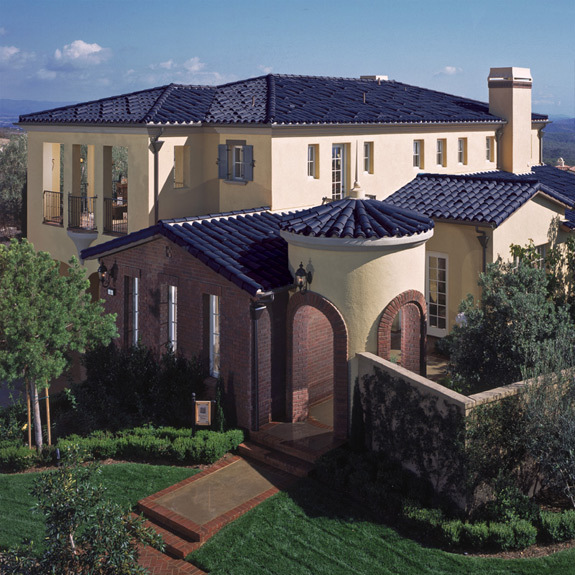 These solar tiles mimic the Spanish or Mission-style homes of California and Italian villas and have a curved surface and SRS Energy has partnered with US Tile to produce an easy to install standard size roof tile (which can be integrated with traditional clay tiles if desired). 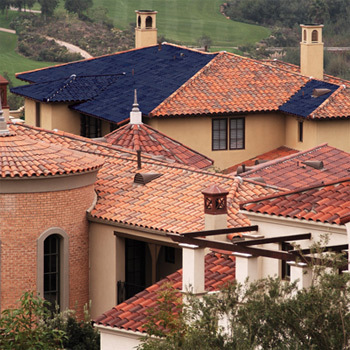 Instead of being the traditional orange/red colored clay tile, these solar tiles are made up of triple-junction amorphous solar cells produced by Uni-Solar. They are not quite as efficient as traditional crystalline silicon panels because of their curved shape semiconductor design, however, this is made up by the efficiency of the system. BIPV (building-integrated photovoltaics) have become increasingly part of the overall building design and are beginning to look less like a design afterthought or a architectural nightmare and more like a single seamless structure. The most extreme example of this would be Tawian’s Solar Stadium, however, with thinner solar technologies and increasing efficiency, invisible integrated solar roofs are just around the corner. This is an excellent option for a roof, specially in high temperature areas. Combining clay roof tiles with the solar tiles is a great idea. Keep the hard work on green! I AM LOOKING FOR A NEW PROJECT IN DUBAI. So confirm us it is possible and how amny days it will taken.